iBird Ultimate is our most birding advanced app. It comes with the two advanced features built in: “Birds Around Me” (BAM), a feature which restricts the birds to just those found in your current GPS area and the patented “Percevia™ Smart Search” feature which gives anyone the skills of a bird identification expert. If you are not sure you’ll need these features you can try iBird Pro, a less expensive app which offers both these as in-app features you can buy at any time. iBird Plus is like Pro but has half the search attributes. iBird Ultimate also takes a major leap forward with “Time of Day” filtering available in version 10.06. You can now search for birds by activity levels during day or night (Cathemeral), dawn and dusk (Crepuscular), during the day (Diurnal) or during the night (Nocturnal). Also included in this version is our new Owls of Mexico and Central America package, including all the hard to find details which iBird is so well known for: illustrations with field marks, range maps, songs and calls and much more. More Details of What’s New: bit.ly/ibird-whatsnew iBird developers never sleep. Version 10.06 adds a unique collection of audio recordings for all Owls as well as 16 new composite illustrations. To see the latest drawings, go to Illustration Update on the Search menu and select 10.06. Whether you are an experienced birder or a beginner at birding, iBird Ultimate contains 946 species of both native and rare North American and Hawaiian birds, is completely up to date with the 2017 AOU and ABA checklists, and is the only app to offer both illustrations and photographs. With iBird Ultimate’s avian matching system you can search for birds by color, location, shape, habitat or any one of our 35 identification field marks to find your bird. iBird's comprehensive species pages have 3,300 built-in bird songs, 4,500 professional high resolution bird photographs, 1,750 hand drawn composite illustrations and over 1,000 range maps. 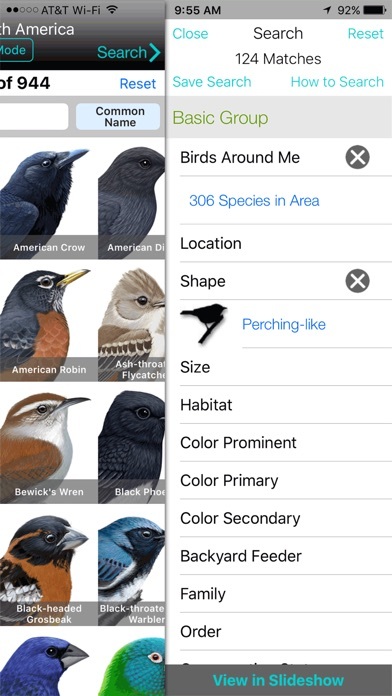 Version 10.06 of iBird Ultimate Guide to Birds now includes iCloud for backing up and sharing your own photos, notes and favorites among all your devices. From tiny to angry birds, iBird works like magic, revealing a list of birds that perfectly matches your search choices. With over 1 million downloads iBird is the standard that all birding apps are measured by. 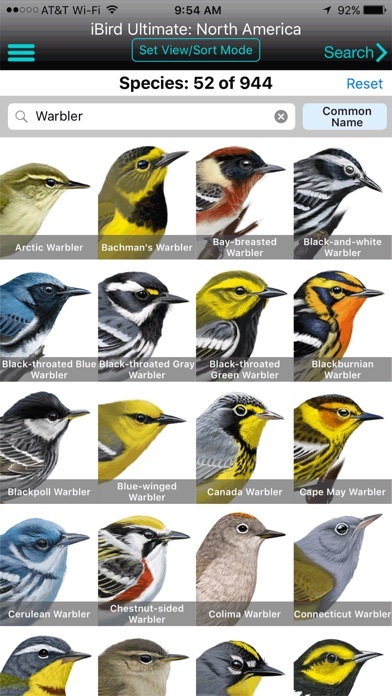 ** NOTE If you would like to try out iBird at no cost check the newly released iBird LITE Free Guide to Birds of North America. It contains all the features of paid iBird Ultimate, but contains just 35 species. And it’s completely FREE. ** Features ■ Birds Around Me (BAM) narrows the species being searched to just those found at your GPS location, within a radius and season you specify. It come built-in to iBird Ultimate. ■ Percevia™ intelligent search is a patented algorithm that guarantees you will only choose search attributes that narrow the matched list of birds. It also comes built-in to iBird Ultimate. ■ iBird now takes advantage of the high-resolution retina displays of the iPhone and iPad so the screen shows more information than ever. ■ Contains the latest 2016/17 AOU and ABA checklists. ■ Splits-History. See what birds were renamed, split into different species or lumped together for every year. 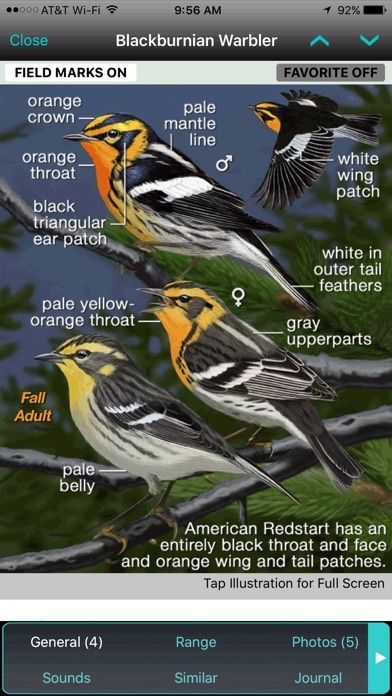 ■ View all birds by head which makes identification easier. ■ Back up and sync favorites and notes with iCloud and share with all your devices and your friends. ■ Fun new birder’s “stickers” to spruce up your text in Messages. Other Features ■ The Conservation Status search attribute lets you filter birds by 6 threat levels. The standard is maintained by Birdlife International and is called the IUCN Red List. ■ All screens optimized for tablets - illustrations, photos and range maps fill the screen. ■ Species, common and family names in English, French and Spanish (text is English). I purchased Pro years ago and upgraded to Ultimate. I also purchased Journal. I have supported this developer with my dollars. I understand that the developers had no choice but to consolidate. Having paid for pro I already had the app and just needed to download it. All good; right? Wrong! I also purchased ALL the add-ins for Ultimate. Time of day, BAM etc. Now the app is telling me I need to purchase them again for pro. Up until this point I understood- but now it appears this is just a money grab. It might be ok if there was a way to get in touch with the developer to discuss. There is not. Lots of great birding apps out there. I have always relied on iBird and not bothered with the rest. Now I think I will try Nat Geo or Sibley. This app is a very good app and I really like it, but I wish it had a tab where you could see a list of locations locations where you can view the bird you’re looking at. Otherwise I think it is a very good app with useful information. I really like it. As, I have only been birding for a couple of years, it would also be nice if it had a feature telling me what birds in my area would be attracted to birdhouses and how to make my yard more bird friendly. Have been using iBird for several years. I have not been disappointed. I really would like to give 5 stars. Yet considering my experience of having my ‘Notes’ disappear multiple times I just can’t do it. Even a novice birder understands the importance of field notes. To have them repeatedly lost is unacceptable. Why even offer the Notes feature if a person has to keep hard copy information to avoid loss. I would like the search function to be able to find a bird even if I don’t hyphenate or spell the name exactly right. But other than that, I love it. It is a great app, but Apple’s policies preclude the ability for the developer to upgrade this version. Do not buy this app if you want updates. Get the iBird Pro from the same developer. The bird illustrations are spectacular, the maps are excellent, and the text is absolutely unparalleled. In my opinion, iBird sets the highest standard for all three of these essential qualities. 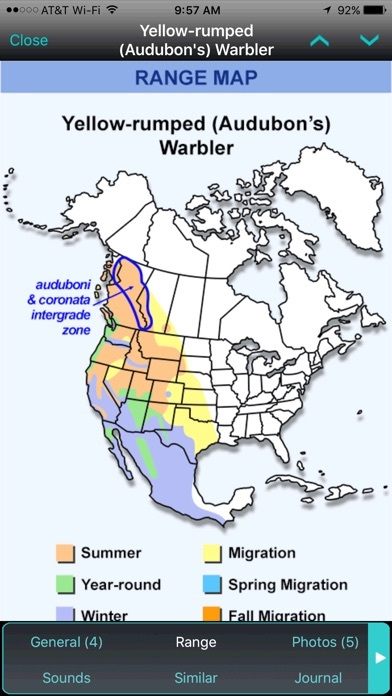 Unfortunately, iBird falls far behind in the fourth key aspect of bird identification—sounds. 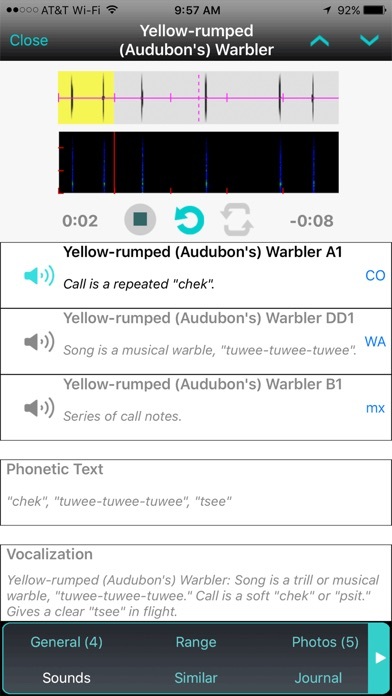 iBird does have a great selection of songs and calls, but unfortunately the audio quality for many species is tinny, weak, fuzzy, or even distorted. This is a major shortcoming in all versions of iBird, compared to the far superior sound quality in apps like Sibley or Audubon. Hopefully the good folks at iBird will address this problem with an update that improves the audio reproduction. In the meantime, I depend on other apps with superior sound quality, while I use iBird for everything else. Just buy this app...it will make you a better birder!